A 66-year old British Rock star Geoffrey ‘Jake’ Commander, who is the guitarist of Electric Light Band Orchestra (ELO), has been jailed for 10 days at the US jail after found guilty of joining the well-known online hacktivist “Anonymous” and taking his part with the popular Operation Payback campaign, which have brought down numerous financial websites. This chain of events started December 10, 2010 when he was online at his home and entered Anonymous Chatroom and found himself one of the other 1000 hacktivists there too. Then he clicked “LOIC” tool, which is a stress test tool used by hackers to send huge amount of web traffic to targeted sites, which will result to server crash popularly known as DDoS Attack. The said attack was against the US financial institutions; ‘Jake’ Commander clicked on the links and said in court he considered it as protest. After clicking a link, his computer targeted MasterCard’s website. MasterCard reported later that they had recorded $1 million loss because of the DDoS attack. Commander was alleged to be a part of the Operation Payback for over 3 hours. 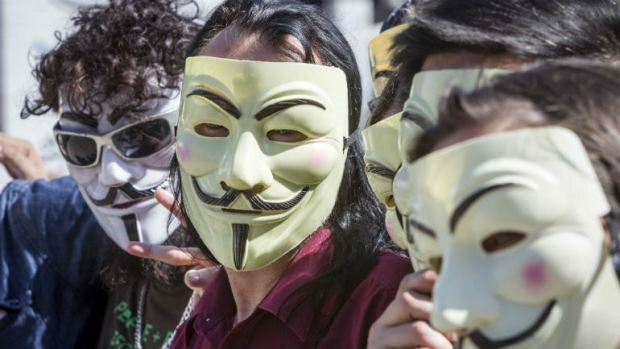 Commander was one of the 13 individuals charged last year being members of the notorious “Anonymous” in attacking US financial institutions. He was initially charged 10 years imprisonment but later, the case was downgraded to misdemeanor. On Friday, ‘Jake’ Commander was charged 10 days at the Alexandria jail, having credit of 1 day already served after the arrest. Geoffrey ‘Jake’ Commander did not try to argue that he does not know what he does, although he said that his decision to partake from the hack was “impulsive, spurious and foolish.” He stayed adamant but the act was a protest practice against the US financial institutions, which he though “brought the country to its knees”. Following the hacking incident, Commander was not arrested and went back to England with his wife and son. When they came back to USA this fall, Commander was arrested and placed for the pretrial release and was forced to capitulate his British passport. After a year of waiting for his sentence, his family moved back to England while Commander stayed in his apartment in New Hampshire. Commander’s prosecutor, Drewey Hutcheson Jr. said that ‘Jake’ was given an option by the judge to serve his 10 days in prison during weekends; however the guitarist did not want that. He wanted to take it all and get over it all at once, since all that he wanted is to reunite with his family and promised not to get back to the USA again. Geoffrey ‘Jake’ Commander gives his apology to the judge and said, “I’m mortified to have upset the government of this country, which has been my host for many years.” However, given his famous background in the music industry, some members of the prosecution seemed compassionate towards Commander.